Take this four-leaf clover, take all the good luck from Saint Patrick’s Day with you! Big four-leaf clover with several clovers inside it showing all its beauty while forming an impressive stained glass window. The geometrical form shows four visible axes with a clover in each. Every zone limited by the axes shows a family of clovers inside it. Each family of clovers shows two lateral big ones while featuring a smaller one in the middle. A light yellow and two tones of green are the predominant colors in this stained glass window. 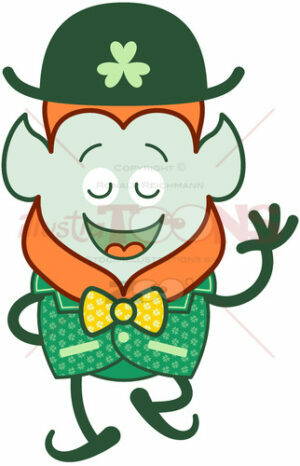 Let’s celebrate Saint Patrick’s Day, download this image and say Good luck to your friends.